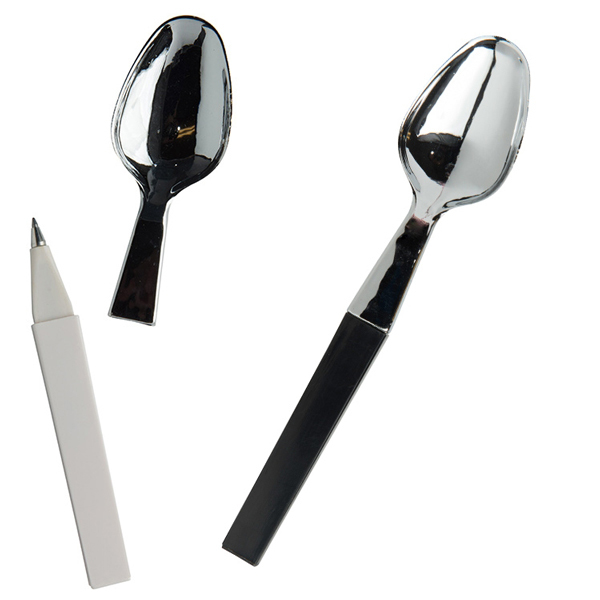 This ballpoint pen with a spoon design pen cap is the ideal promotional giveaway product. Customized with your company's logo or slogan it's the unique trade show giveaway. 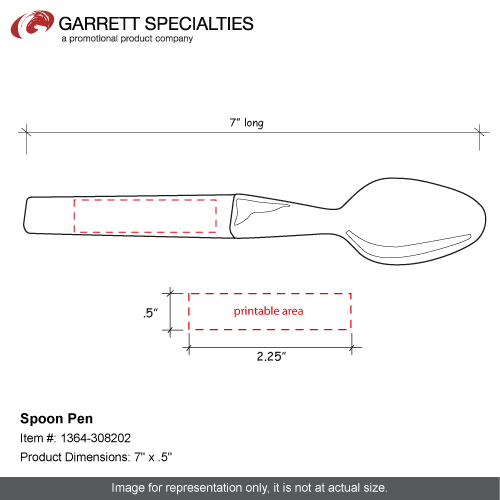 Perfect for restaurant and food store openings and much more. Bulk / 9 lbs lbs / 250 pcs pcs. / 17 x 14 x 9box. Imprint Area: 2.25" x .5"